Greengauge is a Sports and Surfaces brand owned by Argyle International Limited. Greengauge Sports in partnership with Henselite, the World’s No.1 bowling brand, offer an extensive range of products and stock to our valued Sports Trade customers. Greengauge Surfaces is the world’s leading provider of indoor and outdoor artificial bowling surfaces, with installations in 26 countries across every continent. We provide a comprehensive range of surfaces, shortmats, equipment, as well as a full range of maintenance services. 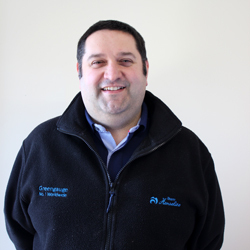 Managing Director Graham Robertson has worked within the business since 1998 and eventually was involved in a management buyout in December 2015 when the opportunity arose to fully focus on the bowling side of the previous business. 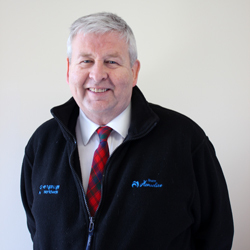 Graham has represented Scotland in the Sport of Bowls for over 30 years and has won numerous Scottish, British, International and World titles both Indoor and Outdoor. Internal and outdoor sales staff include National title winners so you can be sure of good advice when you contact Greengauge. With our international head office based in Scotland, we have the heritage, passion, and expertise to ensure you are rewarded with a World Class products, backed by a robust support infrastructure. Greengauge has, rightly so, earned an enviable reputation as a provider of excellence – a reputation we are extremely proud of and that we strive to enhance. Has been involved in some capacity with the sport of Lawn Bowls for over 45 years. This extensive knowledge in the industry came into good use when he acquired the business via management buy-out in 2015. First moved into a direct role with Greengauge in the late nineties. Multiple title winner as a player includes World titles both Indoor and Outdoor. On the Bowling surfaces side has been instrumental in developing Outdoor artificial bowling surfaces for over 20 years. Started his journey into accountancy in the early eighties after appreciating he had a good head for numbers. Has fulfilled many senior finance related roles in his career including becoming a Finance Controller of a large Company in the late nineties. Joined the organisation in 2010 and quickly become a valued member of staff. Not only does Craig look after the money side of the business but he takes a lead role in SAP and IT system matters where his expertise is vital. 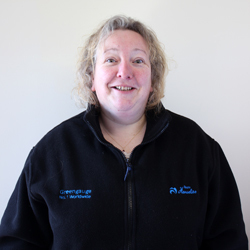 Diane fulfils a split role between Finance, assisting and deputising for the Company accountant where necessary. Her second role is assisting with General Administration type work across all three divisions within the Company. Diane is equally adept with handling enquiries in the Sports, Planet Grass, and Surfaces side of the business. She first joined the Sports and Surfaces business in 2014, left for a short period before eventually re-joining in 2017. Started in the Sport and Surfaces side of the business nearly 20 years ago and has had full control of the Warehousing and Logistics side of the business for nearly 10 years. 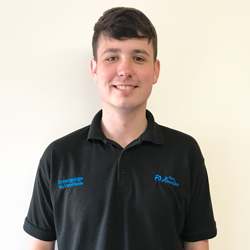 Ryon is equally adept and trained on both surface sides of the business and when time allows he is more than happy to install Artificial Grass and work on Bowling Installations and maintenance. In the last 12 months has completed Installation in both Spain and Hong Kong. Joined the Company early 2017 Perry is an England Internationalist who has Title successes in his career. When the Sales role opportunity arose to promote and sell the Worlds’ leading bowling Brands Henselite and Greengauge Surfaces as well as Almark, Prohawk, and Dawn it was a challenge accepted. Perry travels the country selling to the Sports Trade and with Greengauge Bowling Surfaces to the Indoor/Outdoor Bowls Clubs. For these reasons contact by mobile is preferred. Leads the Planet Grass artificial grass side of the business and is now heavily involved with the Bowling surfaces side of the business involving maintenance, small works and Installation of underlays and bowls surfaces both Indoor and Outdoor. 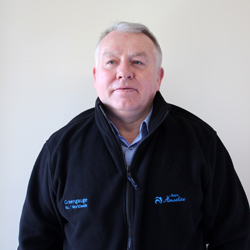 John has an engineering background and has been involved with the business since 2011 initially in the warehouse on the distribution side before focusing on installation work. He plays bowls at a good level and in 2016 won his first National title. Jamie although best known in the Sports side of the business is equally efficient in dealing with both Planet Grass and Bowls Surfaces enquiries. Has been involved in the business for nearly 20 years and his wealth of knowledge allows him to provide the best Customer Support and advice within our Industry. 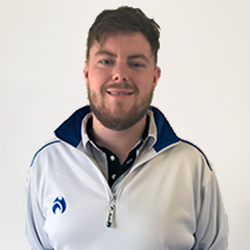 A keen bowler with National titles to his name Jamie also writes a bowls column for a local paper and updates the Social Media side of the Sports business. 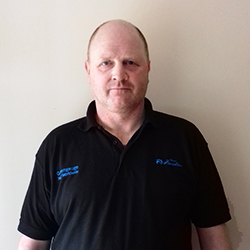 Joined the Company in 2014 and has a main role of administering on all Bowling Surface matters. Includes maintaining the extensive database of Clubs with artificial bowling surfaces in the UK for Indoor, Outdoor, and Crown Green. Deals with all World-wide located Bowling Clubs in currently 26 countries. Anne is the first point of contact for replacement Indoor and Outdoor Bowling surfaces, Bowls underlays, wooden floors, maintenance and small works. Joined the Company in 2016 and for a period of nearly 12 months fulfilled a full time role that was split between finance, and a general administration role. 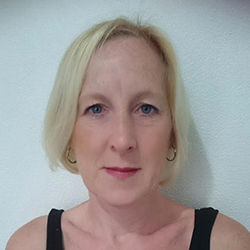 After an Argyle internal re-organisation in the summer of 2017 the role changed to her current position. A Sales focussed all-rounder who also administers Sports, Planet Grass and Greengauge Surfaces enquiries. Currently on Maternity Leave Stacey is looking to return to work later in 2018. Joined the Company in the late nineties and is now approaching 20 years of service. 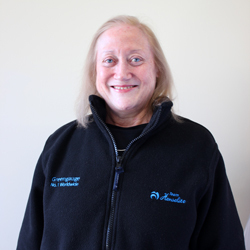 Linda, who currently works part time, has the significant task of being the main assembler of bowling measures. In any given day she can produce the full range of Prohawk, Clubhawk Gold ABS, Clubhawk, Kestrel and Boule measuring devices. 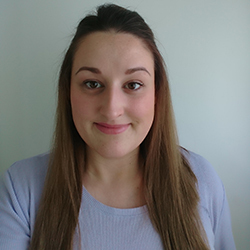 Works remotely in our Shropshire offices where she also, when time allows, deals with the general administration side of the Prohawk Brand. 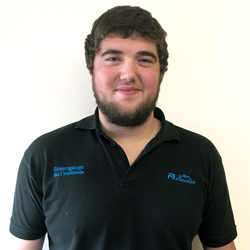 Joining the Company in May 2017, on a short term contract, Cameron is the newest member of Argyle International Limited t/a Greengauge staff. He proved his worth both in the warehouse and when occasionally assisting with Planet Grass artificial grass installation work. When his contract was up Cameron was offered full time employment which he duly accepted. Cameron is now advancing his skills and learning the freight, ins and outs, side of the business.